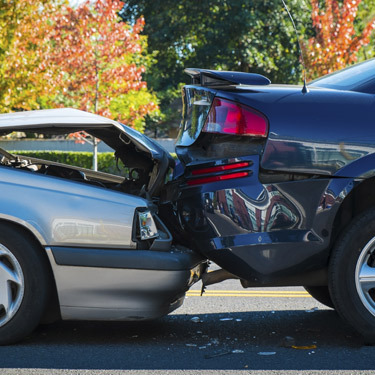 Even slow-moving auto accidents can result in an injury to the soft tissues of the body. Your spinal discs can be injured, and spinal misalignments will likely happen. You want to make sure that your soft tissues are healed and rehabilitated correctly. With the laser pain relief therapy offered at CHIRO & LASER Pain Relief Center of St. Augustine, we’ve seen auto accident victims regain their health quicker than they ever thought possible. Depending on your case, we may recommend chiropractic adjustments alongside laser pain relief therapy. The first step is to make an appointment with us whether or not you have pain after your accident. Discomfort can set in days, weeks or even months later, making immediate attention of utmost importance to your recovery. We’ll evaluate your health and if needed, give you the care required to regain your health. Everyone recovers at a different rate, so you may see results within a couple of weeks, though others may take months to feel back to 100%. We work with insurance coverage for auto accidents. Please note that in the state of Florida, you are required to have someone document your injuries within 14 days for your insurance to cover your charges. If you’re ready to restore your well-being, contact us today! Convenient Saturday appointments are available.